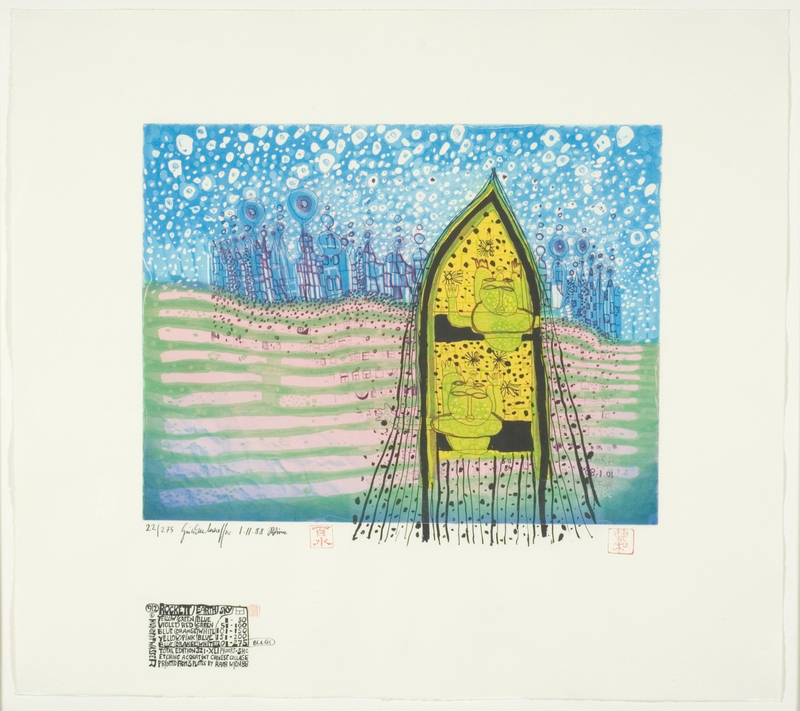 etching and aquatint from 3 plates over chinese collage, 1988, with the ink signature by the artist, One of 50 impressions in this color version,numbered 22/275 from the numbered edition of 275 (total recorded edition 321), As printed by Wolfgang Raab, Vienna. The artist worked on the plates from 1982. Published by: Gruener Janura AG, Glarus. References: Recorded and illustrated in the artist's archives of his work, HWG 101.